Have old documents or bills that need to be destroyed? 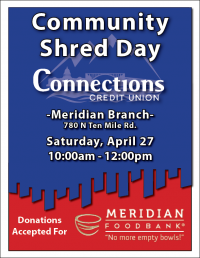 Join us at Connections Credit Union in Meridian on April 27th for our Community Shred Day! 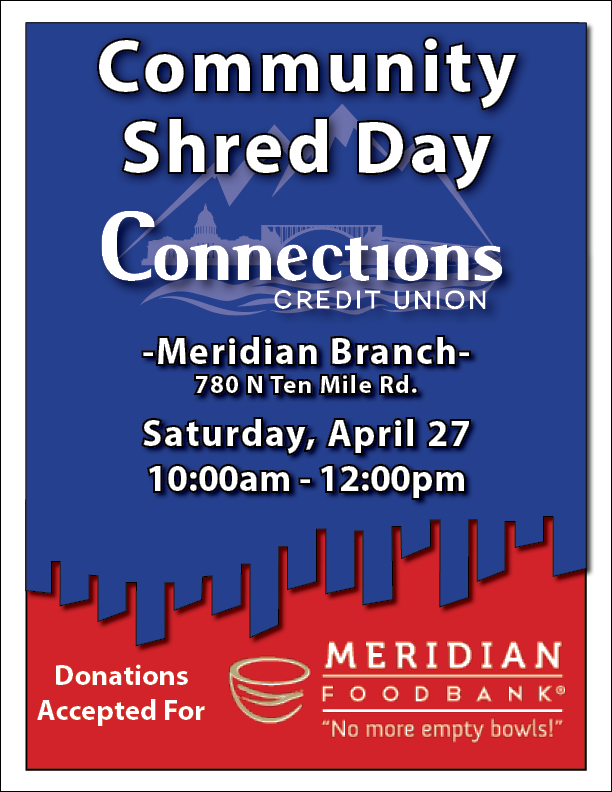 A shred truck will be at our Meridian branch from 10 AM - 12 PM. We're also partnering with the Meridian Food Bank who will be giving out treats and accepting food donations!